MANHEIM, PA. — Cincinnati Reds legend, Pete Rose, has been named the featured speaker on Nov. 24, 2015 at this year’s Thanks for Giving Benefit Luncheon to be held at Spooky Nook Sports located at 2913 Spooky Nook Rd in Manheim, PA. The event is being presented by the Janus School and Spooky Nook. Source: Lancaster Online. Tickets for the luncheon are $90 each and must be purchased in advance. Sponsorship packages, including access to a VIP Reception Rose are available. For more information, contact Nicholas Chapman, Director of Development at 717-653-0025, extension 105 or email nchapman@TheJanusSchool.org. 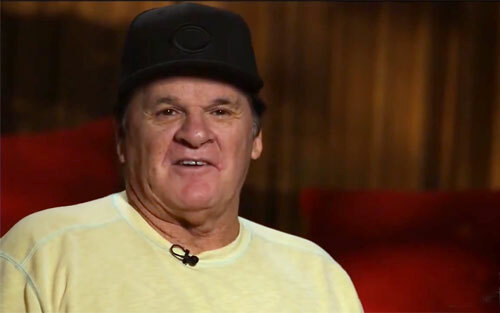 On the 25 anniversary of his ban for betting on baseball, Pete Rose speaks with CNN. Pete Rose, nicknamed “Charlie Hustle,” is a former player and manager for the Cincinnati reds. Rose played from 1963 to 1986, and managed from 1984 to 1989. Rose, a switch hitter, is the all-time Major League leader in hits (4,256), games played (3,562), at-bats (14,053) and outs (10,328). He won three World Series rings, three batting titles, one Most Valuable Player Award, two Gold Gloves, the Rookie of the Year Award, and also made 18 All-Star appearances at an unequaled five different positions (2B, LF, RF, 3B & 1B). In August 1989, three years after he retired as a player, Rose agreed to permanent ineligibility from baseball amidst accusations that he gambled on baseball games while playing for and managing the Reds, including claims that he bet on his own team. In 1991, the Baseball Hall of Fame formally voted to ban those on the “permanently ineligible” list from induction, after previously excluding such players by informal agreement among voters. In 2004, after years of public denial, Rose admitted to betting on baseball and on, but not against, the Reds. The issue of Rose’s possible re-instatement and election to the Hall of Fame remains controversial. Sports Speakers 360 is a booking agent for motivational sports speakers. 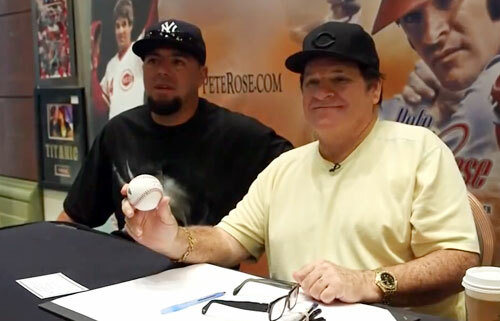 If you would like to book athletes like Pete Rose for a speaking engagement, autograph signing, personal appearance, product endorsement or corporate event, contact Pete Rose’s booking agent for appearance and speaker fees or call 1.855.303.5450.